Of course, for viewers with more modern tastes in films, Kramer’s slapstick odyssey might be a bit out of date. So thanks are in order to Ezequiel López, who updated the trailer for the movie, taking dialogue and music cues from its most obvious recent successor, Mad Max: Fury Road. The result is a neat little transformation, with Kramer’s loopy, star-studded comedy becoming the grim, tightly edited It’s A Mad Mad Mad Max: Fury Road. 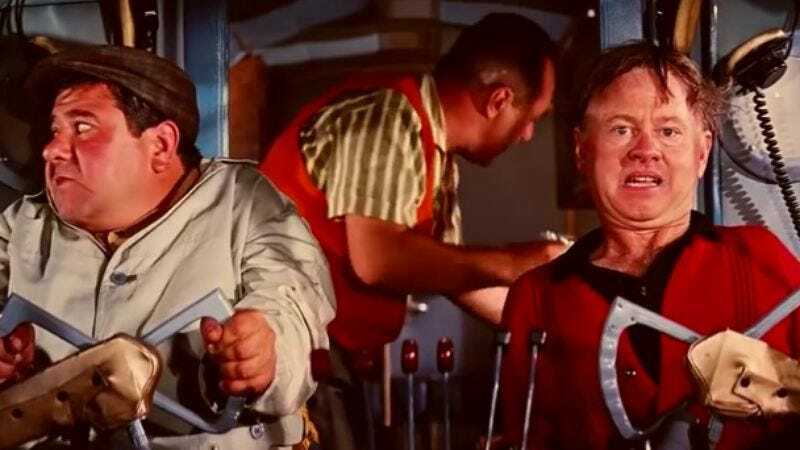 López even manages a few fairly convincing moments of dialogue dubbing, transforming Mickey Rooney into the Valhalla-seeking War Boy we always knew he was meant to be. It’s a Mad Mad Mad Max Fury Road - Trailer from Zequiodzilla on Vimeo.